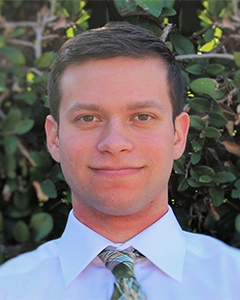 Adam Kohler is focused on making education the core of all his vocational and avocational endeavors. As a wealth management advisor for a firm whose majority of clients work in the public sector, he works closely with academics, hospital professionals, and individuals who dedicate their time to charitable organizations, to break down the complexities of financial planning, lead seminars for groups interested in taking control of their financial life, and also for families with loved ones who have special needs. 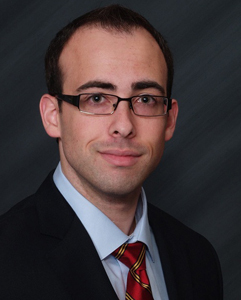 In addition to financial planning, Adam teaches courses on philosophy at local colleges. More specifically, he focuses on introducing the foundational branches of philosophy to students in order to foster keen critical thinking skills, as well as courses on biomedical ethics and business ethics so that students may learn to apply those skills to situations they face in everyday life. Dawn Bhat, MA, MS, NCC, RYT-500, holds graduate degrees in General Psychology from Queens College and in Clinical Mental Health Counseling from Long Island University, C. W. Post where she received the 2013 mental health counseling award. She is a national certified counselor, a limited permit holder in mental health counseling, and sees individuals, couples, and families for psychotherapy in private practices on Long Island. Dawn is registered as a yoga teacher with Yoga Alliance (RYT-500) and teaches at Embrace Yoga. She has been a member of the International Association for Yoga Therapists (IAYT) and was a peer reviewer for the IAYT journal. She studied traditional yoga with Georg Feuerstein, Ph.D. and she has been a yoga practitioner for almost 20 years. Dawn is registered as a yoga teacher with Yoga Alliance (RYT-500) and teaches at Embrace Yoga. She has been a member of the International Association for Yoga Therapists (IAYT) and was a peer reviewer for the IAYT journal. She studied traditional yoga with Georg Feuerstein, Ph.D. and she has been a yoga practitioner almost 20 years. As a clinician, Dawn takes an integrative, bodymind approach to counseling and psychotherapy. She utilizes standard approaches and more holistic ones such as mindfulness training, hypnosis, and somatic work. Dawn has worked with psychiatric and neurological patients, and has experience working with severely mentally ill patients in inpatient and community-based settings. She has treated individuals suffering from PTSD related to motor vehicle accidents and relational trauma. She has worked behaviorally with children and adults with autism, learning disorders and developmental disabilities. Dawn has counseled women during pregnancy and with post-partum mood disorders. She has special interests in parenting, adoptee issues, and infant development. Dawn’s approach and her variety of experiences in research and the mental health field help her clients change, learn and grow personally, spiritually and relationally. Professionally, Dawn has presented at national and international conferences and has published or contributed to scholarly research in addition to writing book reviews. Dawn is a regular columnist/writer for Somatic Psychotherapy Today. She works under the guidance of Jacqueline A. Carleton, Ph.D., with whom she has a book chapter in press on the role of the autonomic nervous system in psychotherapy. She and Dr. Carleton published a number of papers on the integration of the body in psychotherapy and treating attachment trauma. One of their 2013 presentations was entitled: Promoting Resiliency: Clinical Applications of Neuroscience, Attachment Theory and Mindfulness. 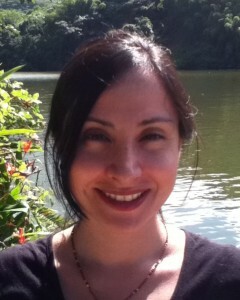 Dawn is a Mindful Educator and a Senior Researcher for Mission Be. In these roles, Dawn helps educators and clinicians translate and apply the large body of empirical research on mindfulness and related subjects to enhance child and adolescent development, improve parenting skills, and optimize overall mental health. Adam Factor is a doctoral student at the University of Maryland, College Park pursuing his PhD in Social/Organizational Psychology. He received his undergraduate degree in sociology and psychology from UC Berkeley and went on to research healthcare management with the Department of Veterans Affairs. At Maryland, Adam is pursuing research questions related to the psychology of motivation, radicalization, and extremism, having previously examined burnout and emotion management in the field of healthcare. Outside of the lab and classroom, he connects with the message of emotional wellbeing at Mission Be and puts his research skills to use strengthening its data-driven capacity to improve lives. Roseann Passiatore, M.Ed, a native New Yorker, has been an educator for the past 30 years. She taught 21 of those years in Glendale, AZ . Her career includes teaching 7-12 English, Journalism, Creative Writing, and Life Skills. She was the advisor for an award winning high school newspaper at Ironwood High School in Glendale, Arizona , where she also received an award for Journalism Advisor of the Year in her Community. Her passion for giving young people a voice compelled her to create Teen Talk – a talk show hosted by high school students. The show aired district wide and also had a regular time slot on the local cable access channel in Glendale, AZ. As a New Yorker, the September 11th tragedy struck her deeply as she watched from her Arizona home. Feeling helpless from afar, and wanting to bring understanding to the residents of Arizona, Roseann brought four of her Teen Talk reporters to Ground Zero on November 11, 2001 to record the devastation, and to deliver a message of unity from the students of Arizona. In their quest they made and distributed hundreds of unity bracelets to New York students, residents, and rescue personnel. They also met with Former Mayor Guiliani, Former President George Bush, Former NY Governor Pataki and Hillary Clinton at Ground Zero. After filming the streets of NY, Ground Zero, and interviewing families of victims, firefighter, police officers and MTA personnel, the crew returned home with enough footage to create a documentary . The documentary was aired on local cable channels and within school districts in the area. Working with young people is Roseann’s passion and she personally identifies with the negativity which fills their hearts and minds. It is her goal to help young people find their voice which is often buried beneath the rubble of dysfunction. She has worked as a coordinator and facilitator of high school support groups and executed workshops for growth. Currently, she is writing a book titled Yes, You Can! A journalistic venture to inspire and encourage people to never give up.